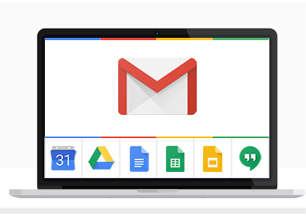 G Suite is designed as an all-in-one solution with integrated tools that work seamlessly together. For instance, you can receive a message in Gmail and instantly convert it into a Calendar event. When you make a comment in Docs, Sheets or Slides, collaborators automatically receive email alerts. With a single click, you can launch a Hangouts video meeting from your inbox or calendar. Using these tools as a complete package improves productivity while giving your business the most value. However, you are welcome to purchase the suite and only use the services of your choice.